EPA's Southeast branch is notoriously tough to manage. For starters, it's huge. Everything from the Appalachian Mountains to the Everglades swamps is under the purview of EPA's largest region. 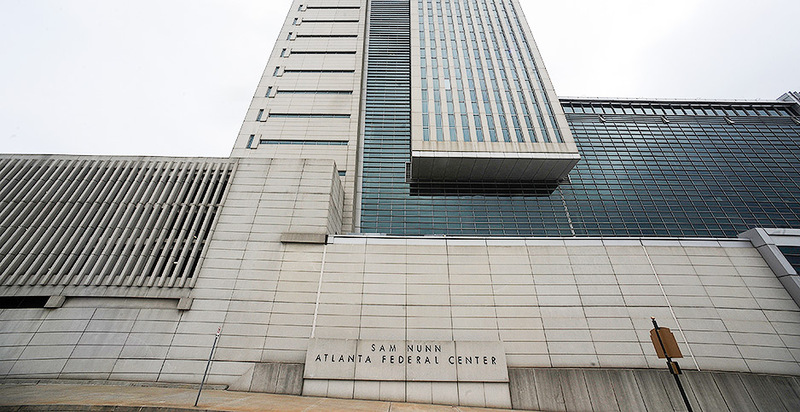 The Atlanta-based office oversees eight states, more than any other region. The politics are complicated too. In the Deep South — traditionally a stronghold for Republicans — many are suspicious of federal regulators. Region 4 encompasses Alabama, Florida, Georgia, Kentucky, Mississippi, North Carolina, South Carolina and Tennessee. Now EPA's Southeast office is facing its latest hurdle: The regional administrator just resigned after being indicted on ethics charges. 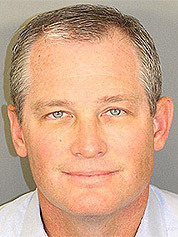 The Alabama Ethics Commission announced last week that Trey Glenn, who has led Region 4 since August 2017, was indicted on charges seemingly tied to his past consulting work for an Alabama-based coal firm that tried to avoid Superfund cleanup liability. Glenn checked into jail and was soon released on bond (E&E News PM, Nov. 19). Critics of the administration are seizing on the controversy as another example of bad behavior at the Trump EPA after former Administrator Scott Pruitt resigned amid ethics allegations. In addition to bad press for the agency, Glenn's departure brings uncertainty for the region's employees and for the industries they regulate. Stephen Stetson, a senior campaign representative for the Sierra Club in Alabama, Georgia and Mississippi, said Glenn's resignation fits a narrative that the Trump EPA is corrupt and unaccountable. "I'm worried that it will further impair the public trust in the regulatory process," Stetson said. "It wasn't just Pruitt. It was one of his lieutenants too. It's part of the same narrative." Glenn's predicament has worried those who interact with EPA's Region 4 on behalf of industry and other interested parties. Beginning with Pruitt at EPA, the Trump administration embarked on a program of "cooperative federalism," where state agencies would take the lead from their federal counterparts when it came to environmental problems at home. Glenn, a former state regulator who served as director of the Alabama Department of Environmental Management, was seen as a champion for that cause in EPA's Southeast branch. "The uncertainty level is so high right now because the rules are being rolled back. Are you supposed to do it the old way or the new way?" said a former EPA Region 4 attorney now in private practice in Atlanta. "Region 4 was implementing that program with fidelity, which was deferring to the states as long as all legal requirements were met." The attorney added, "Trey was a good one to do that given that he was a state director and he knew most everybody in the eight states." Last Wednesday, Glenn was scheduled to give remarks at an environmental conference hosted by Manufacture Alabama, a trade association in the state. Glenn didn't show, though — news broke the prior day of his indictment. Instead, Ken Wagner, EPA's senior adviser for regional and state affairs, spoke during Glenn's scheduled slot that morning, conference attendees told E&E News. Glenn was in Alabama on Thursday when he was booked at Jefferson County Jail and later released in the early morning. He has denied the charges against him and has vowed to prove his innocence. "I intend to focus on my family, fight these unfounded accusations and ultimately clear my name," Glenn said in his resignation letter, which was posted by AL.com, a news website. Mary Walker will take Glenn's place for at least the time being. Walker, deputy chief for Region 4, started yesterday as acting regional administrator, EPA Chief of Staff Ryan Jackson said in an internal email. She has held the second-in-command post in EPA's Atlanta office since June and was director of its water protection division before then. Walker also has experience in state government, having worked for the Georgia Environmental Protection Division. Trey Glenn isn't the first regional administrator to generate negative headlines for EPA. Other branch chiefs in prior administrations have also found themselves at the center of controversies that created headaches for the staff at headquarters. Armendariz served as Region 6 chief during the Obama administration but ended up resigning in 2012 after he made some provocative comments. The South Central branch head described his enforcement strategy at EPA as focusing on flagrant violators of environmental laws to deter others, using the word "crucify." His comments made in 2010 angered Republican lawmakers, and he resigned days after the video of his remarks surfaced in the press. Gade was head of Region 5 during the George W. Bush administration. She came under fire after her office looked into dioxin contamination near a Dow Chemical plant in Midland, Mich. She would leave the agency in 2008, saying her resignation was about EPA's internal battles over how she pushed back on Dow. Hedman led Region 5 under the Obama administration, while the agency struggled to respond to the Flint, Mich., drinking water crisis. The branch under her watch also was hampered with sexual harassment allegations, which were the subject of a congressional hearing. She resigned in 2016. Martin served as Region 8 administrator during the Obama administration. He attracted scrutiny after he used his personal email to schedule a meeting with an environmental group's lawyer. He resigned in 2013, about a month after Republican lawmakers announced an investigation into Martin's use of his private email account, alleging he used it to conduct government work. Nastri was Region 9 administrator during the George W. Bush administration. Years after his 2009 departure, an EPA inspector general report released in 2015 found Nastri had made "excessive" trips to Southern California during his tenure at the agency, traveling to near his home almost every weekend and had claimed ineligible travel costs from the agency. Nastri told E&E News in a statement that "every one of his trips was approved" and that the IG report found only "minor ineligible travel expenses." Yellowtail led Region 8 during the Clinton administration. He ran into trouble with the Office of Special Counsel after he lent his name to be used in a fundraising letter for a Democratic candidate running for Congress in Montana. The independent watchdog alleged Yellowtail had violated the Hatch Act, which he disputed, but he was given a stint of unpaid leave in 2000 due to the infraction. "She is a really excellent, excellent person who is very diligent and very knowledgeable," said Jim Giattina, a former Region 4 employee. Walker and her staff will have a tough job ahead. Giattina, who spent 32 years at the agency before retiring as director of Region 4's water protection division in 2016, said having a regional administrator appointed by political leadership bolsters communication between the region and headquarters. "You are missing that voice and input" without that leader, he added. "When you don't have an administrator appointed to run a region, it puts more of a strain on senior executives," Giattina said. "There are going to be policy decisions that are made by the regional administrator that they are taking from headquarters and interpreting. If you take that piece out of the puzzle, you now have a gap in that communication." Stan Meiburg, who was a longtime deputy Region 4 administrator, said leadership in Region 4 will need to keep employees' attention on their jobs, rather than on the ethics storm swirling around the now-resigned regional administrator. "The first job you have is to make sure people stay focused. There is work that needs to be done," Meiburg said. "Superfund cleanup is not going to wait for the resolution of this. Clean water quality is not going to wait." He added, "There is a very strong career team in Region 4. They know what to do." Jimmy Palmer, who led Region 4 during the George W. Bush administration, said the staff has to navigate eight governors, eight legislative bodies, and "hundreds and hundreds" of municipalities. "Given the eight states that the region has to deal with, the workload is tremendous for every program," Palmer, who now has his own environmental law practice in Oxford, Miss., told E&E News. "You couple that with declining budgets. You really have a double whammy of workload is going up and budgets are going down." Region 4 oversees more states than any of the agency's nine other regional offices. It's one of EPA's bigger regional branches in terms of staffing too. The Southeast branch has 857 employees on board, second only to EPA's Chicago office, according to EPA's shutdown contingency plan from September. The Atlanta office has had management problems in the past. Investigators for the EPA inspector general discovered missing enforcement files going back years, according to one investigative report. The IG also tagged the Southeast branch for paying for employees' unoccupied parking spaces and warned management about computer files with "sensitive data" left unprotected on the Southeast branch's servers. Meiburg said the range of environmental problems the Atlanta office has to deal with is "all over the map." The Southeast branch has to handle coal ash ponds, farming operations, manufacturing permits, Superfund sites and wetlands, he said. On top of those problems are hurricanes — like Hurricanes Irma, which devastated the Florida Keys last year, and Florence, which flooded parts of North Carolina this year — that require EPA action as part of the federal government's disaster response. After leaving Region 4, Meiburg became acting deputy EPA chief during the Obama administration. He's now a sustainable studies professor at Wake Forest University in North Carolina. "You have urban, you have industrial, you have agricultural, you have rural. You name it. And lots of people." EPA and some Southeastern states approach the environment differently too. Giattina said states overseen by the Southeast branch generally aren't quick to regulate. "It is a region that historically has not been in favor of regulation. "Generally, the state legislature funding of environmental programs tend to be on the low end on the spectrum," said Giattina. "That's not a denigration of the people who work in those state environmental agencies, because those folks do a great job with often limited resources." Stetson of the Sierra Club, an Alabama native, said while Southern states may now be known for their deregulatory approach to the environment, that wasn't always the case. "The South has a populist streak that is not incompatible with conservation of natural resources," he said. "We used to be equally suspicious of corporations and government officials. ... It's morphed into doctrine talking points that the government is the enemy." Meiburg said EPA has managed to get along with its partners in the Southeast. "You need to have strong states and a strong EPA, and I think we lived that in Region 4," he said. "It didn't mean we always agreed, but we have a strong mutual respect for each other."